(VOVWORLD) - Prime Minister Nguyen Xuan Phuc on Saturday hosted a reception for his Lao counterpart Thongloun Sisoulith, who is leading a high-level delegation from the Lao Party, National Assembly, Government and Front for uNational Construction to pay the last tribute to Do Muoi, former General Secretary of the Communist Party of Vietnam Central Committee. 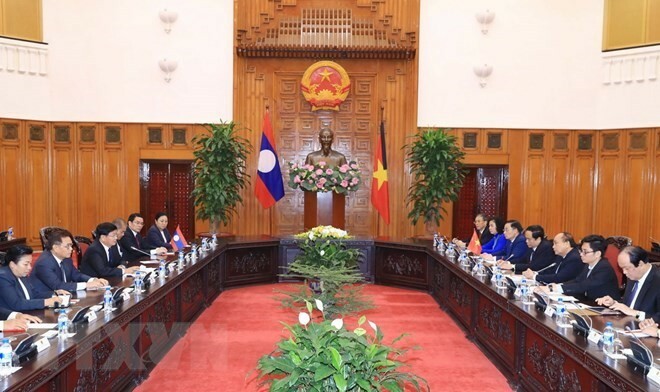 PM Phuc thanked the Lao leaders and people for their sentiments towards former General Secretary Do Muoi, saying that this is a vivid illustration for the special solidarity between Vietnam and Laos. On the occasion, the two PMs discussed socio-economic situation in each country and measures to bolster the Vietnam-Laos relations. They reiterated strong determination to deepen the bilateral ties in a more practical manner and agreed to further coordination in carrying out high-level agreements as well as seek solutions to removing bottlenecks to accelerate key collaboration projects. 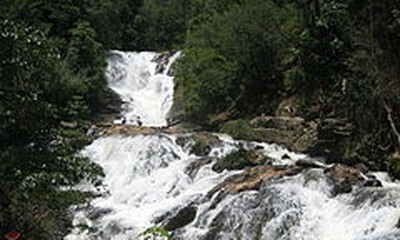 They said that both sides should make meticulous preparations for the 41st meeting of the Vietnam-Laos Intergovernmental Committee, scheduled to take place in early 2019.